Cooling pillows are useful for people who tend to get hot at night or are undergoing menopausal changes. They are also beneficial to people using them in hot weather conditions. The purpose of a cooling pillow is to keep you from getting hot and sweaty during the night. By doing so, they keep you from tossing and turning in your sleep. You, therefore, end up well rested and ready to take on the day. 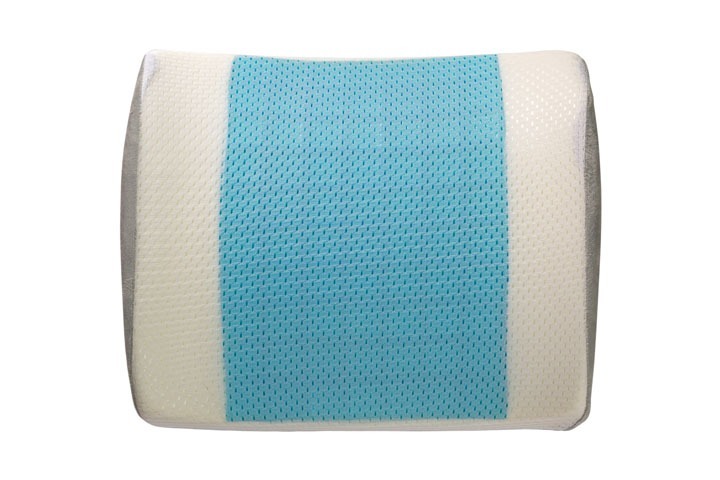 There are different ways in which cooling pillows achieve that cooling effect. Some make use of gels, others include water pouches in their designing while others make use of shredded foams to enhance air flow. Users have found some cooling pillows to be better than others when it comes to heat dissipation. In order to arrive at the best cooling pillow, some level of research needs to be done on your part. To help make this task an easy one, we have put together a simple guide to purchasing the best cooling pillow for your needs. Temperature is an important determinant of one’s sleep cycle. If it is too hot, then the high temperatures interrupt the development of sleep stages while the low temperatures tend to interrupt the body’s cardiac rhythm. 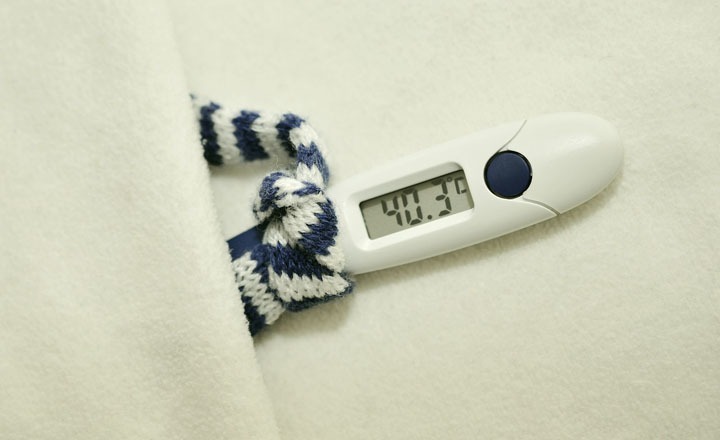 For regular sleep to occur, the body’s temperature tends to cool down from its usual day time temperature. The optimal temperature within which a good night’s sleep is said to occur is between 320C and 340C. Temperatures below or above these points make it rather difficult for you to transition between one sleep stage to the next. Cooling pillows help to improve heat dissipation as you sleep. They make it possible for your skin to achieve and maintain the optimal temperatures for a sound sleep. Cooling pillows work by drawing the excess moisture from the body, dissipating heat generated by your head and neck and ensuring effective air flow within the pillow to keep the pillow itself from retaining the heat generated. This way you are able to wake up fresh and ready for the day ahead. Reduce The Time Taken To Fall Asleep: Cooling pillows help to decrease the sleep onset time. By allowing you to sleep in optimal sleeping temperatures, you end up falling asleep faster since you do not have to keep turning your pillow or yourself to attain a suitable sleeping position or spot on your pillow. Helps Alleviating Insomnia Cases: Cooling pillows help to make it more comfortable for people with night sweats to sleep. By cooling the head and neck, these pillows help to avoid sleep interruptions that result from night sweats. This way, people suffering from night sweat related insomnia are able to achieve a restful night’s sleep. Help With Thermoregulation: Cooling pillows help to regulate body temperature as we sleep. They absorb, circulate and dissipate heat allowing you to remain cool. Cooling pillows with phase change materials take thermoregulation a step further by releasing heat to warm your body in the event the current bed and body temperatures are less than ideal for the proper progression of the sleep cycle. Cooling pillows derive their name from their ability to maintain a cool temperature throughout the night. These pillows get their cooling abilities from the use of gels, water, filling materials as well as the choice of cover material. Gel and water based cooling pillows use gel pads or water as cooling mediums. The later make use of a shield to keep water from coming to contact with the body and thus getting heated up. Shredded filler materials such as shredded memory or latex foams allow for continuous airflow throughout the pillow. This allows for any heat accumulated to be distributed and eventually let out of the pillow. Another way in which these pillows work is by making use of materials such as cotton and bamboo derived covers that improve the breathability of the pillow. Generally, fabrics whose threads are not too closely knit make are better at heat dissipation than their tightly knit counterparts. 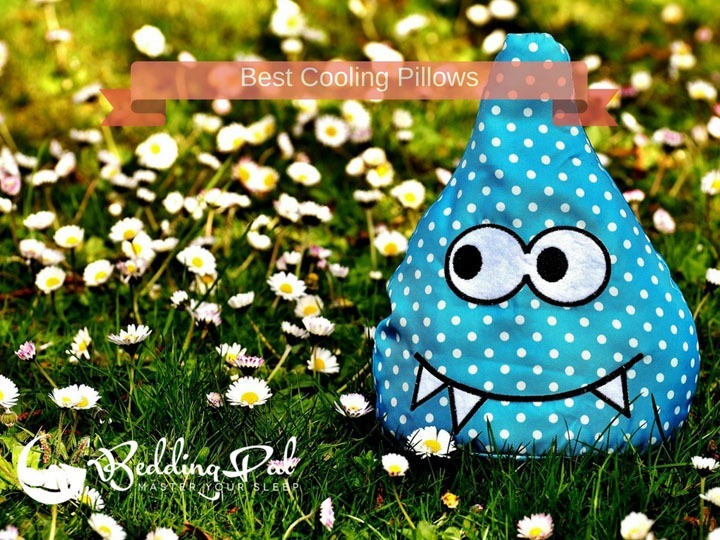 Cooling pillows are best suited for people who tend to get hot at night. Those suffering from night sweats may find the use of a cooling pillow particularly soothing and helpful. 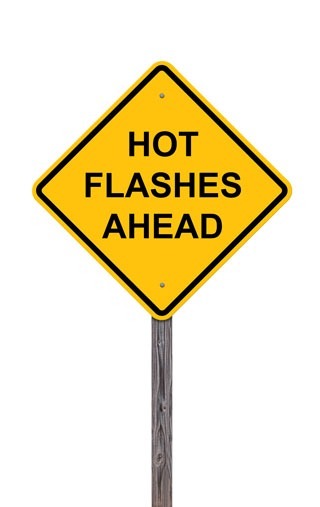 Users undergoing hormonal changes within their bodies may also suffer cases of hot flashes. Menopausal women are particularly prone to hot flashes. Since these pillows have been associated with decreasing the sleep onset period and encouraging a restful night, insomnia suffers may benefit from these attributes too. Lastly, if you live in a hot and humid area or if it is the hotter seasons of the year, then you might want to consider switching out your usual pillow for a cooling pillow. Gel Memory Foam Cooling Pillows: These pillows take the form of a gel memory foam pillow. These are your usual memory foam pillows with an added layer of gel to help with the heat dissipation and provide that much needed cooling effect. The gel works by absorbing and redistributing the heat generated by the head, neck and shoulders. Water Based Cooling Pillows: These pillows are your regular pillows only that they have an added water pouch component. The water is typically at the base of the pillow and is enclosed in a shield. This helps the water to cool the pillow without necessarily absorbing the heat generated by the body. In order to enhance the cooling properties of the pillows, manufacturers are making use of a combination of these cooling mechanisms. You are, therefore, bound to find a water based pillow with a gel pad, or a memory foam or latex pillow that is gel infused to help it with heat dissipation. Material: The filler and cover material will not only influence the pillow’s effectiveness at heat dissipation and thermoregulation, it will determine its comfort, weight and supportive abilities. Buckwheat, latex and bamboo pillows are preferred due to their hypoallergenic properties, their light weight, and their environmentally friendliness. Down pillows are light in weight but may not be suitable for people with allergies. Memory foam pillows and water based pillows have been found to be rather heavy. Adjustability: The adjustability of a pillow is particularly important if you sleep in varying positions. Water based pillows and shredded foam pillows are best suited where adjustability of a pillow is concerned. Breathability: No matter what filling material you go with, the pillow must allow air to go through it with ease. Air circulation is a major factor that keeps the pillow temperature within the desired range. Longevity: Given the benefits of a cooling pillow, it is a purchase that you will want to make and stay with for a long time. The warranty period of a pillow is a good indicator of its longevity as well as quality. Your ideal pillow of choice should come with a warranty that is no less than three years. Ease of Maintenance: The ease of maintenance is basically how easy the pillow is to clean. Gel and memory foam pillows are not machine wash friendly and have to be spot cleaned. Buckwheat pillows cannot be cleaned at all. If using such pillows then you have to make use of a pillow cover that is easy to clean. A good number of bamboo pillows come with removable and washable pillow covers that can be machine washed making them rather easy to keep clean. Given the differences in pillow needs, materials used for both the cover and pillow filing, and cooling methods employed by various pillows, the task of selecting the best cooling pillow can be both difficult and confusing. In an attempt to make this task easier, we have compiled a list of five top rated cooling pillows inclusive of the reviews. The Classic Corporation is a renowned brand when it comes to all matters sleep. Their Reversible Cool Gel and Memory Foam Pillow does not fall short of their brand reputation. This pillow combines the supportive abilities of memory foam with the cooling properties of gel to ensure that its users have a restful and comfortable night’s sleep. It gets its reversibility from the fact that the side with the gel layer is useful for reducing the temperatures to keep you cool as you sleep while the memory foam side is useful if you are in need of a warmer pillow. Apart from the cooling properties of gel, the pillow makes use of open-cell memory foam technology that adds to the porosity and air flow of the foam. It is designed to accommodate the pillow needs of both side and back sleepers, maintaining a neutral spine regardless of the preferred sleeping positions. Its hypoallergenic properties make it suitable for use by people with respiratory problems and its removable cover makes it rather easy to clean. The SleepBetter Iso-cool memory foam pillow has earned a spot in this guide due to its ability to provide adequate support to the head and neck as well as stay cool throughout the night. Apart from keeping its users cool an ideal cooling pillow should be able to play the supportive role of a normal bed pillow. It is particularly compatible with side sleeping due to its high loft that helps to keep the neck in line with the spine as you sleep. Back sleepers may also find it to be rather comfortable. The micro bead filing helps to dissipate heat by allowing for air to flow freely within the pillow. This way, it remains cool enough to allow for a good night’s sleep. The phase change mate beads not only keep the pillow cool but allow it to warm up when the temperatures get too cold to allow for comfortable sleeps. It comes with a cotton cover that adds to its breathability as well as gusseted sides that enhance its durability and shape retention. The Mediflow water based pillow is a people’s favourite due to its adjustability. It makes use of a combination of a gel infused memory foam and a water pouch at the base of the pillow to ensure that users stay cool and comfortable throughout the night. The memory foam allows for the pillow to be supportive and firm while the water allows for the pillow’s adjustability. Users can determine the pillows height and firmness by either adding or reducing the amount of water within the pillow. Apart from making us of the memory foam to provide support, it also makes use of a spring centre foam to help give added support and retain its shape. The cooling effect of the Sleep restoration gel pillow is not the only reason this pillow has been featured in this guide. The fact that it comes in twos is a major plus for couples looking to improve their sleep; that and the fact that they come in handy as a his-and -hers gift. The pillows derive their cooling properties from the gel that allows for easy heat absorption and dissipation and from the pure cotton casing that has a low thread count that allows for air to circulate and avoids heat retention. This plush pillow is of average loft and is suitable for back sleepers. Although it may work for some side sleepers, it may be too soft and provide inadequate support for others. The Snuggle-Pedic Ultra Luxury Bamboo Shredded Memory Foam Pillow has earned a place in this guide due to its competitive pricing, comfort and ability to remain cool. The use of shredded memory foam allows it to respond to the user’s body heat and take the shape of one’s natural head and neck contours in order to maintain support. The shredded foam coupled with the Kool flow, Micro-vented, breathable, bamboo cover allows for sufficient airflow. This helps to maintain a cool pillow surface. You, therefore, can enjoy a comfortable night’s sleep without having to wake up and flip the pillow in search of a cool spot to place your head. Since the shredded foam can be added and removed as the user’s sees fit, this pillow is compatible with all sorts of sleepers. In order to make the most out of your purchase, you have to treat your cooling pillow right. This means you have to clean your pillow and store it in the right way when not in use. To enhance the longevity of your cooling pillow, it is advisable that you use it together with a removable cover. This way, should the pillow itself be difficult to clean, you can always maintain a clean pillow by regularly cleaning the cover. Buckwheat pillows will require an additional cover as they cannot be cleaned. Memory foam and gel pillows are better off being spot cleaned rather than machine washed. Bamboo pillow covers can either be machine washed or dry-cleaned and either tumble dried or air dried. Be sure, however to read the washing instructions that come from the manufacturer in order to get the care and maintenance of each pillow right. It is advisable to clean these pillows every three to four month though a more frequent interval may apply to those that lack hypoallergenic properties such as down pillows. When storing cooling pillows, it is advisable that you store them horizontally and avoid placing any weight on top of them. This allows them to maintain their fluff even in storage. Cooling pillows are beneficial to anyone living in a hot and humid climate, suffering from night sweats and, or hot flashes, and insomnia. They also come in handy if you are looking to get a good night’s rest during the warmer seasons of the year. Temperatures have been scientifically associated with sleep development. Temperatures that are too high have been known to delay the onset of sleep and interrupt the normal sleep cycle. Before, purchasing a cooling pillow, there are a number of factors you need to keep in mind. Your sleeping posture, the benefits you seek to accrue, the materials used and the quality and longevity of the pillow are some of the crucial ones. Be sure to also read the reviews written by other users. While the satisfaction derived from the use of a pillow is a highly personal ad subjective matter, it is worth taking into consideration the experiences of others. These will give you an indication of what to expect from these cooling pillows.